Is a CD right for you? Who benefits most? A person investing $25,000 or more in a certificate of deposit (CD) is less interested in razzle dazzle — and more interested in a promised guarantee. Boring can be beneficial. When you put money into a CD account, your job is simple: wait. Don’t watch the market. Don’t gamble on what might happen. Just wait. You know how much you will make, and you know exactly when to collect your reward. A CD is a timed deposit with a guaranteed rate of return. That means you agree to invest your money for a certain period of time, known as a “term,” which generally ranges from one month to five years. During this time, you can’t access your money without potential penalty fees; but when the term expires, you know precisely how much you will earn. Crestmark consistently offers some of the best CD rates in the country. As an example, let’s say you invest $25,000 for one year with a 1.8 percent rate. You simply leave your money alone. Then, upon maturation, you get your initial investment, plus an extra $450 just for waiting. If you change your term to two years at 1.9 percent; you get an extra $475. And if you choose a five-year term at 2.15 percent, you earn $537.50. In these examples, the investor does nothing, except wait for the CD to mature and collect the earnings. There is no risk and no hassle; just guaranteed income. Rates depend on the size of the initial investment (usually $25,000 to $250,000) and the length of the term (generally one month to five years). Amounts larger than $250,000 can be accepted, but the FDIC only insures up to that amount. Annual percentage yield (APY) rates fluctuate and vary among lending institutions, but non-traditional, federally insured banks like Crestmark tend to offer significantly higher rates than big-name banks, due to reduced overhead. Also, CDs generally offer better interest rates than savings accounts, but the trade-off is not having immediate access to your money. If you already planned to keep your cash sitting in the bank, with no transactions necessary, a CD may be a favorable option. Who benefits most from CDs? A business on the verge of expansion – Perhaps you are a business owner in the enviable position of having accumulated some excess money. Maybe you plan to acquire another company in a few years when that owner retires. You need to use the sum you’ve collected, but not for at least 36 months. Why not earn while you wait? With a 2 percent rate, $100,000 would turn into $102,000 in three years. That’s like getting free office furniture and a computer. A person stockpiling for a down payment – Maybe you plan to build a house in a few years and you are saving for a down payment before construction begins. In addition to budgeting diligently, you could earn an added bonus. With a 2 percent rate, $50,000 would turn into $51,000 when the CD matures. That may be enough to fund a kitchen counter or appliance upgrade. The little things add up. 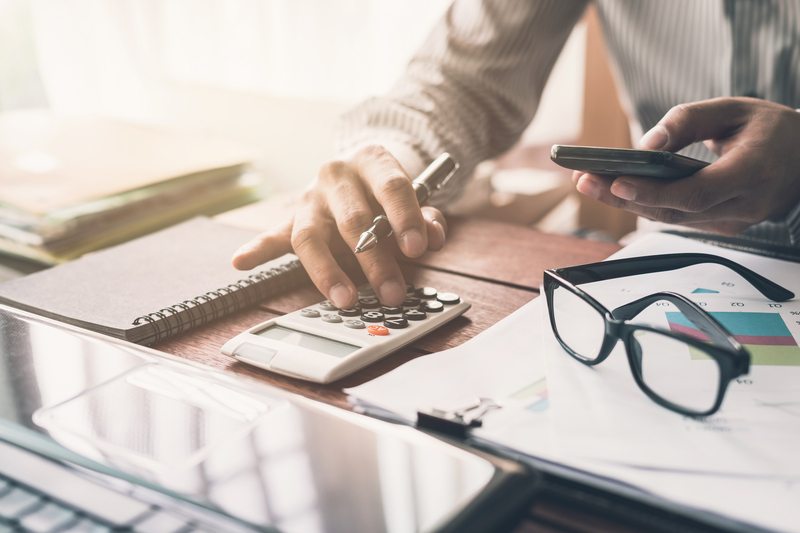 Retirees-to-be – If you plan to retire in five years or less, your budget may not allow you to risk losing any part of your hard-earned savings—especially if you are depending on the interest on that money. A CD allows those preparing for retirement to earn with stability, and to be assured of a risk-free, guaranteed outcome. It may not be ideal for someone retiring in 20 years, however, since inflation may outpace CD rates, long-term. The inert investor – Maybe you are an infrequent stock market watcher and have no interest in playing the field. You aren’t willing to take risks, so you prefer a guaranteed return on your investment with little or no personal involvement. A CD may be a good option. A business requiring stability – Many businesses who depend heavily on certainty have invested in CDs. For example, community credit unions need to guarantee the security of their own clients’ transactions, so they might consider CDs to grow their overall investments under the most secure conditions. 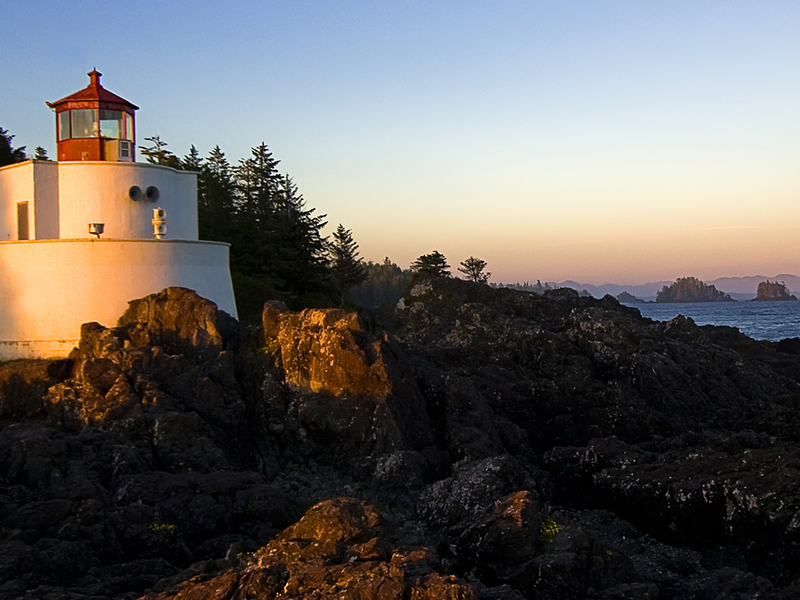 Crestmark specializes in these business-to-business transactions that support mutual growth. Those waiting for rates to rise – If interest rates are consistently low for a while, it is common to hope for the promise of something better for your investment just around the corner. In this case, putting money in a short-term CD may allow you to hold that money securely for a brief time, then re-think the investment if rates begin to rise. Some situations are not a great match for CD investments. In general, CDs are not the best option for those who need regular access to their money or for those who can weather the highs and lows of the stock market over time. Penalties for early withdrawal – If you adhere to the terms of your CD, there’s no problem. If you need to terminate the agreement early, you will be charged a penalty, which may negate the interest earnings. Choose your term carefully to anticipate your liquidity needs. Locked interest rate – The interest rate locks in for the term of the CD. Even with confounding market fluctuations, the CD rates are not variable until the time of withdrawal or rollover. Stability and low-risk are the selling points of CDs, making potentially advantageous variability unavailable, depending on the financial climate. Laddering is a way to take partial advantage of variable rates, especially if the rates are low at initiation. If you choose a CD ladder, you divide your investment among several smaller CDs at higher rates that mature at staggered dates. This strategy offers maximum growth and a bit more liquidity; in other words, your funds become available a little faster. For instance, you may open one CD that matures in a year, a second CD that matures in two years, and a third CD that matures in three years. When the first CD matures, you roll that money into a new three-year CD. You do the same thing when the second CD matures. Ultimately, you end up with a three-year CD maturing every year for three years. You can also set up a five-year ladder to maximize earnings and build in some flexibility. Taxability – Unlike treasury notes (T-notes), the interest on CDs is not exempt from local and state taxes. Interest is taxed as regular income and not at the more favorable capital gains rate. Long-term inflation considerations – While it’s true that CD earnings are predictable, inflation rates are not. If you are investing early in life and do not need direct control of or access to your money for a significant period of time, most experts say it is generally advisable to invest in securities like stocks, bonds or mutual funds—which sacrifice short-term volatility for long-term gains. It is possible that inflation could outpace CD returns over decades. In the investment world, promises are uncommon. CDs, however, are 100 percent guaranteed and FDIC-insured up to $250,000—the maximum allowed by law. Investing in a CD through a reputable institution like Crestmark provides impenetrable security for your money. 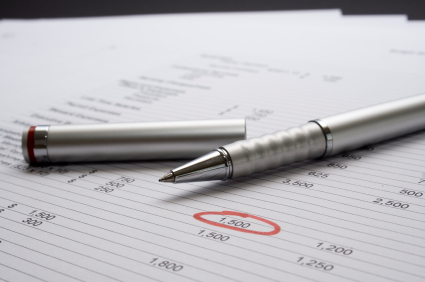 There are few certainties in finances, and CDs are about as reliable as it gets. Visit our CD page to see Crestmark’s current CD rates. Or call us at 855-267-6445. As shopping malls and traditional brick-and-mortar stores devolve, retailers are reinventing themselves. Mass store closures have a significant downstream effect on other businesses related to fashion, apparel, footwear, distribution, manufacturing, wholesalers and secondary industries. If they haven’t already adapted to online marketplaces, businesses are scrambling to diversify to online sales, omnichannels and e-commerce in order to survive and grow. In the first three months of 2017, U.S. retailers announced 2,880 store closings. That suggests record-breaking retail downsizing, with analysts predicting more than 8,600 closures by year’s end. With less foot traffic in stores, there is more e-commerce traffic on websites and mobile platforms. The Great American Group reports: Contrary to brick-and-mortar sales, e-commerce sales continue to grow. During the fourth quarter of 2016, e-commerce sales represented 12 percent of total retail sales, excluding automobiles and gasoline, reaching $102.8 billion, according to the U.S. Commerce Department. In her state of the industry presentation earlier this year California Fashion Association Executive Director Ilse Metchek discussed the range of distribution channels available to apparel manufacturers, including: department stores, e-commerce, mobile commerce, TV, pop-up shops, catalogs, big-box stores and specialty retailers. “We are the only country in the world that has this amount of distribution channels,” she said. Online apparel sales, currently at 8.5 percent, are on the rise and on track to grow to $86 million this year. By 2025, 30 percent of total retail will be online, Metchek said. 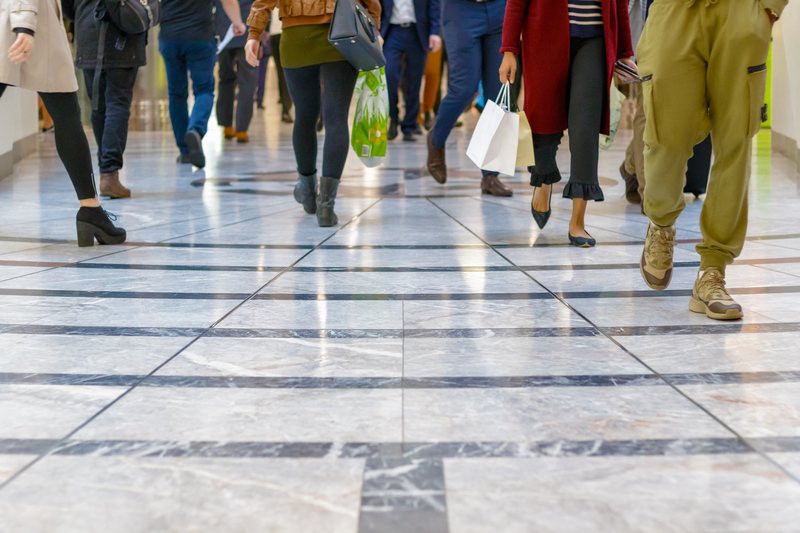 Although the locations of the retail sector are shifting, actual retail sales figures have been on a positive trajectory, with total holiday sales for 2016 up 4 percent, according to the National Retail Federation (NRF). Going forward, the NRF projects 2017 retail sales to increase between 3.7 percent and 4.2 percent over 2016. The e-commerce and off-price sectors are expected to continue to perform well in 2017; however, department stores and specialty apparel retailers could face further store closures as businesses right-size. During the 2017 holiday season, 85 percent of shoppers between the ages of 30 to 44 are expected to shop online. Most experts agree that the shopping dynamic is changing from a mall-based experience to a smartphone point-and-click experience. Offering touchpoints across multiple channels seems to be the primary goal and indicator of success. A business selling women’s apparel, for example, might want to consider diverse opportunities: an online catalog, search engine ad, retail store, online customer service rep, testimonials, ratings and reviews, promotions, website, and follow-up marketing emails. A 2015 McKinsey Quarterly report found that companies with greater digital capabilities were able to convert sales at a rate 2.5 times greater than companies with fewer digital touch points. In 2016, online sales were expected to capture 11.6 percent —or $394 billion—of all U.S. retail sales, but “digital touch points” commanded an estimated 49 percent of U.S. sales. This is according to a report by National Retail Federation’s (NRF) Shop.org division and Forrester research firm. The report also found that retailers are focusing their efforts and investment on ways to enhance customer experiences online. More than half of the retailers surveyed—54 percent—listed mobile commerce among their top three initiatives in 2017. Additionally, they said m-commerce sales—or sales using a mobile device—increased 65 percent over last year. Nearly half (47 percent) of online traffic came from smartphones and 30 percent of online sales were made using a smartphone. “Smartphones are driving retail sales more than ever, and retailers have found that even modest investments in mobile initiatives can result in huge returns,” said Artemis Berry, NRF vice president for digital retail. More touchpoints equate to more customer connections. Crestmark provides financing support for wholesalers, importers and distributors in various apparel, accessories, and footwear businesses across the country. With an eye on the changing retail space, Crestmark financing experts are helping small- and medium-sized businesses remain versatile and competitive. Apparel and footwear clients often rely on factoring to support their operations, which may experience cash-flow crunches due to seasonal or unforeseen market shifts. This funding flexibility allows them to treat their invoices as collateral and receive cash advances on each invoice. The up-and-down nature of fashion is understandable, and Crestmark can guide businesses through both sluggish and prosperous seasons with versatile and responsive financing. Crestmark can help. Call us at 888.999.8050. Reliance on renewable sources of energy is no longer a pie-in-the-sky vision for the future; it is going mainstream. The energy needs of the United States are being met using sustainable, clean forms of fuel, like solar and wind. In the last decade, great progress has been made in creating markets for clean, renewable fuels. This required a host of measures including: public and private-sector demand, public policy initiatives, federal tax incentives, cost reductions for materials and installation, product innovations, and, just as important, capital. The volume of programs generating clean energy, with more on the way, demonstrates demand for renewables. A move to clean energy is being made by states, municipalities, universities, businesses, and individuals. The investment is being made with a high level of enthusiasm and public support. There is excitement to innovate, to generate clean energy, to save money, and to participate in endeavors to save the planet. Now, after a long, uncertain journey, this sector has the wind at its back. In comparison to conventional forms of energy, emerging technologies such as wind, solar photovoltaics (PV), light emitting diodes (LEDs), and electric vehicles, for example, have experienced significant cost reduction and deployment growth in recent years. Commitments to clean energy have a heightened sense of urgency as the rest of the world invests billions of dollars in clean-tech research and development, and U.S. companies and institutions accelerate their efforts in an attempt to win the clean energy race. Renewable energy, once advocated primarily for environmental reasons, now has proponents representing a range of interests, including free markets, energy security, independent energy production, off-grid living, and cost reduction. The U.S. Department of Energy’s Office of Energy Efficiency and Renewable Energy reports that a $12 billion taxpayer investment in clean energy has yielded an estimated net economic benefit to the U.S. of more than $230 billion, with an overall annual return on investment of more than 20 percent. In early 2016, the George Washington Solar Institute reported that the United States reached 1 million solar installations. It’s on track to reach 4 million solar installations by 2020, generating enough solar energy to power 20 million homes. Then, by 2025, the U.S. will be on pace to install 1 million solar systems annually. Though solar currently supplies only 1 percent of U.S. electricity, it accounted for 30 percent of new capacity in 2015. Nearly 1 million Americans, and nearly 57,000 businesses and nonprofits are producing their own power. High-profile companies, including Apple and General Motors, have committed to long-term sustainable energy sources. Apple produces and procures clean energy from solar and wind for 93 percent of its power needs. Other signs that solar is becoming mainstream is the job growth within the sector. There are now more than 200,000 people working in the solar industry, a 123 percent increase in the last five years. The use of wind energy is accelerating rapidly too. Currently, there are more than 53,000 utility-scale wind turbines operating in the U.S., powering 25 million homes, and 41 states have utility-scale wind energy projects. The wind industry employed more than 100,000 people at the end of 2016. High-profile public companies like Facebook have invested in large-scale sustainable energy projects that set an example for the business world. Facebook built a data center in Altoona, Iowa, that is run solely on wind power, and it set a goal of using 50 percent renewable energy sources at its data centers by 2018. 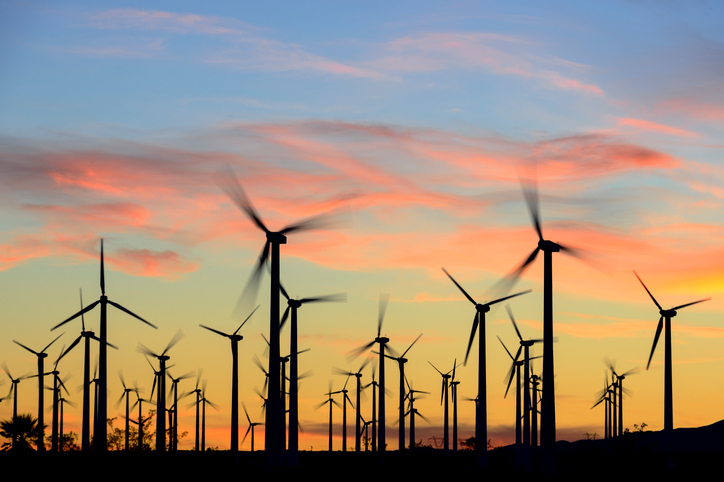 Its plans include powering a new data center in Fort Worth, Texas, with 100 percent wind energy. To help companies transition to renewable energy, Facebook shares its “playbook” for developing wind-powered data centers. A major goal of the U.S. Department of Energy’s Office of Energy Efficiency and Renewable Energy 2016-2020 strategic plan is to modernize current grids, enabling the integration of clean electricity into a reliable, resilient and efficient power-system grid. This effort draws on comprehensive research and development of integrated devices, sensing, measurement, forecasting, operation controls, system design, security and resilience. Many scholarly and technological specialists are working together toward this pursuit and the business climate is generally favorable for these innovations. Among the members of REV is manufacturer AllEarth Renewables, which is headquartered in Williston, Vermont. The company manufactures a dual-axis solar tracker that follows the sun and produces up to 45 percent more energy than rooftop solar. It has manufactured more than 4,000 systems to date for installation in the U.S, and its dual-axis solar tracker was named a “Top Green Product” by BuildingGreen magazine and “Top Product of the Year” by Solar Power World. AllEarth Renewables is one of the leading solar installers in Vermont, and provides solar energy to correctional facilities, nonprofit organizations, schools, and municipalities. Public institutions are leading by example. Crestmark Bank, which has been providing alternative financing solutions to small- and medium-sized businesses for 20 years, was pleased to work with Pennsylvania-based developer Alternative Energy Development Group (AEDG) on financing to construct four 500kW (AC) solar projects for the state of Vermont. First, Crestmark funded $2 million in 2014 for the St. Johnsbury Correctional Facility, one of the largest users of electricity in Vermont. In 2015, Crestmark provided $1.7 million for the Southern State Correctional Facility in Springfield and the State Office Complex. Two more projects were completed in 2015. Such initiatives have helped Vermont become a national leader in solar jobs per capita (third in the country), where the number of solar jobs grew by 29 percent last year, according to a report by The Solar Foundation. Crestmark provided a creative combination of sale and leaseback transactions. Through a power purchase agreement, the state of Vermont negotiated a 20-year contract to purchase clean, renewable power at low, predictable rates. Since these projects went online, the state of Vermont released its 2016 State Agency Energy Plan, which calls for a 20 percent reduction in total energy consumption by 2025, and 24 percent by 2030; and to get 30 percent of its remaining energy requirements from renewable sources by 2025, increasing to 45 percent by 2030. “Crestmark was excited to provide the financing to AEDG, a solid performer in the growing alternative energy industry. The AEDG team has a great reputation in the industry, and we hope to have a long-term relationship with them that is beneficial to both companies, and that is instrumental in bringing more alternative energy projects to the U.S.,” said Larry Pearce, Crestmark executive vice president and Joint Ventures Group president. Financing and access to capital will be essential to the progress of this energy sector. Companies like Crestmark have an important role to play in bringing clean energy to businesses, cities and households. This sector is one of the bright spots in the U.S. economy, and with the right support, it offers some of the best opportunities for small- and medium-sized businesses for decades to come. Cybersecurity is constantly threatened. 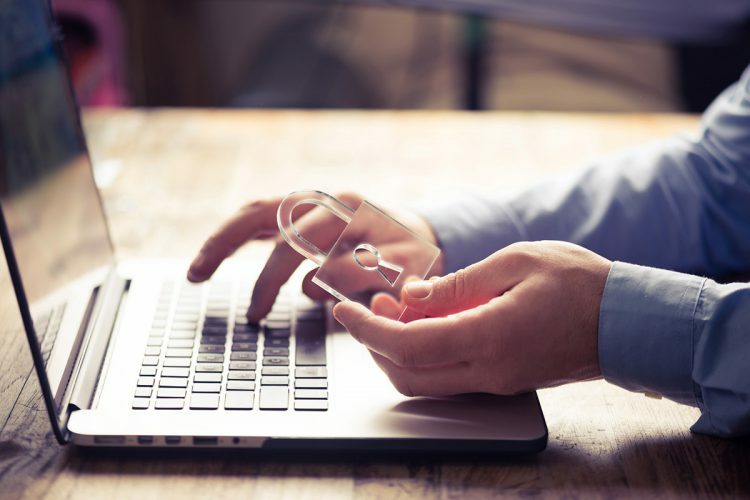 With our growing dependence on technology, you have to ask the question: Is my business taking the proper security measures to keep information safe for my customers and myself? As society operates in this digital age, technology has helped commerce become easier, automated, and organized. Online accounting systems, cloud-based data storage, and CRM software for customer relationship management have all become a part of our digital business tool belt. This convenience also comes with a challenge – keeping this precious data secure. As technology continues to make life easier, it’s crucial to recognize that security needs to remain a top priority. It only takes one issue to lose the trust of a customer forever. Cybersecurity attitudes and expectations are important. This is why Apple was firm about not unlocking an iPhone for the FBI when requested recently; they felt it betrayed the trust of iPhone customers worldwide. You may not be Apple, but you do have customers who rely on you. Here are some ways to protect their information. If your business has multiple employees, then a written security policy is a must. Make sure your employees know what is expected of them and what is appropriate. Are they authorized to log in to a company server on a personal computer? Can they take their work computer home? These are basic questions that need to be addressed when creating an information security policy. 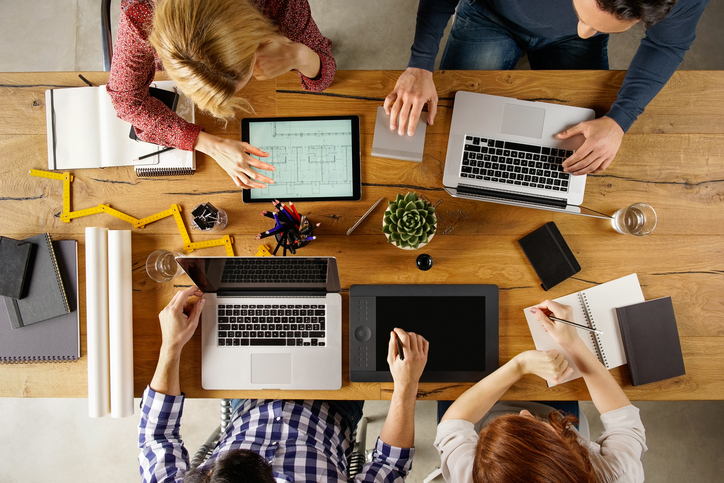 The Federal Communications Commission offers the Small Biz Cyber Planner—a free online resource to help small businesses create customized cybersecurity plans. The acronym EAP, or emergency action plan, is widely used in the medical response field for disaster relief, but shouldn’t your business also have a contingency plan in place for emergencies? Even when taking the proper precautions, accidents happen. If you do have a data breach, how will you respond? Do you have a press release drafted? Is there an option to remotely wipe information from a stolen computer? Begin to brainstorm the worst-case scenarios, and address your game plan before bad things happen. Unless your company is in the cybersecurity business, you probably can’t handle this on your own. There are many reputable companies that specialize in security programs and secure hosting solutions. Cloud storage and tightly secured networks must be expertly managed to reduce the risk of data seizure, privacy loss or business interruption. IT providers are critical to your business, but specialized cybersecurity experts can provide an extra layer of protection in anticipating and mitigating threats. Many of them offer free online checkups on your devices. Today, nearly everything is stored in the cloud. Although it’s a convenient option, you need to make sure you are using the cloud securely. What if the cloud is unavailable or if there is a security breach? Can you operate your business without it? By backing up your information on a local network or hard-drive, you can ensure it is always in your possession and never lost. Backup should be automated and checked periodically. Your business customers are counting on you to not only maintain, but improve your cybersecurity. A secure business is a profitable one. The trust that comes from having a secure business on the web has become a competitive advantage. Of course, upgrading technology measures can also require additional cash on hand – so contact Crestmark to learn more about our flexible lending solutions, including equipment financing for your business. As always, we’re in business to see your company grow and succeed. Call us at 888-999-8050. The sun and wind are free in their natural state; but the equipment and technology needed to convert that energy into electricity or heat can be costly. The U.S. government offers financing resources and incentives to promote clean energy development. Because solar and other renewable energy systems do not emit harmful pollutants, they help protect the environment and reduce U.S. reliance on imported fuels. Businesses and residents may take a closer look at alternative energy products and services, thanks to a variety of tax credits, rebates, loans and incentives offered by government agencies and utilities. A 30-percent tax credit is a popular financial incentive for installing solar energy systems in one’s home or place of business. Since 2006, residential and commercial properties have been benefitting from extensions to the solar investment tax credit (ITC), which can be applied to projects through 2021. The solar ITC extends the 30-percent tax credits through the end of 2019; then drops the credit to 26 percent in 2020; 22 percent in 2021; and then permanently to 10 percent for commercial projects and no further credit for residential projects. Business owners who commence construction on their projects before Dec. 31, 2021, can claim the larger credit, provided the project is in service before the end of 2023. “The tax credit has been a beneficial mechanism to prompt solar innovation and installation. With many small businesses capitalizing on clean energy products and services, the economic impact may be as significant as the impact on climate stability,” said Larry Pearce, Crestmark executive vice president and Joint Ventures Group president. Although some parts of the bill have expired, there are still potential benefits from the federal business energy investment tax credit (ITC). The ITC applies a 30-percent rebate to solar, fuel cells and wind technology; a 10-percent rebate to geothermal electric technologies; and a sliding 24-12-percent rebate for large wind. The legislation, originally signed in 2015, has been extended in some areas, and offers a gradual step-down of credits between 2019 and 2022. Some eligible technologies have already expired, but those remaining include solar photovoltaic (PV) cells, solar water heating, solar space heating and cooling, solar process heat, geothermal electric and large wind technologies. A longstanding innovator of creative financial solutions, Crestmark offers many flexible programs to meet the needs of business owners. For instance, Crestmark funds Alternative Energy Development Group (AEDG) LLC, and an affiliated company SolarSense LLC, headquartered in Berwyn, Pennsylvania, with a combination of sale and leaseback transactions. Crestmark provides sale-leaseback financing for several 500kW (AC) solar projects to deliver clean, reliable and renewable energy to the state of Vermont on a power purchase agreement (PPA) basis. “In this agreement, Crestmark owns the solar panels and leases them back to the developer. Some companies don’t have enough taxable income to take advantage of the 30 percent credit. With our support, the tax credit is utilized for maximum benefit to all parties involved,” Pearce said. Small businesses receive special consideration from the U.S. Small Business Administration (SBA) through its SBA loan programs. These government-guaranteed options are available up to $750,000 for products or services with energy-efficient features. Additionally, the U.S. Department of Energy’s (DOE) National Renewable Energy Laboratory (NREL) provides support through the DOE’s Small Business Vouchers (SBV) program, which encourages advanced energy innovations and technologies. To date, the SBV has built partnerships among 114 small businesses and corresponding national labs that help overcome technical challenges and bring energy innovations to market more quickly and efficiently. 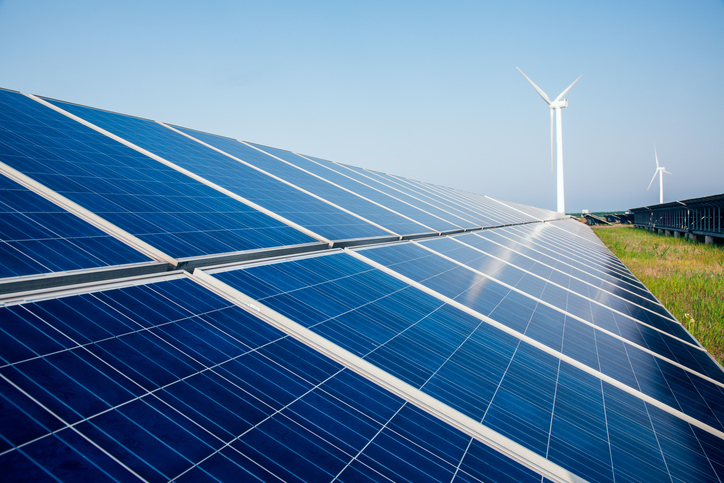 The U.S. Department of Agriculture (USDA) Rural Energy for America Program (REAP) helps energy developers purchase, install and construct renewable energy system. This funding resource supports farmers, ranchers, business owners and other entities to incorporate renewable energy into their operations, thereby reducing energy use and cost and improving the bottom line. Grants, loan guarantees and financial assistance may also be awarded through the U.S. Department of Housing and Urban Development, and the U.S. Environmental Protection Agency. Crestmark experts can help companies maximize their renewable energy efforts and incentives by funding them properly. As technology advances, new benefits are continually made to the economy. With a growing client-base of businesses producing goods and services related to solar, wind and clean energy, Crestmark is helping to grow and launch small businesses who have big ideas for the planet. Truck drivers will soon scrap their handwritten mileage journals for electronic logging devices (ELDs). Far more accurate than pen and paper, an ELD connects to the vehicle’s engine to electronically record hours on the road. A mandate from the Federal Motor Carrier Safety Administration (FMCSA) requires ELD installation in an estimated 3.4 million commercial trucks and fleets by Dec. 18, 2017. The new mandate aims to prevent driver fatigue and improve highway safety by electronically syncing the vehicle’s engine with the driver’s log. This ensures that a driver’s hours of service (HOS) are reported accurately. ELDs provide paperless, computerized systems to track driver routes, hours worked, rest breaks, vehicle inspection reports, and other factors that drivers are required to report. Until now, the technology was optional and based on convenience. Having this information stored in one system simplifies life for carriers and safety officials. Knowing a driver’s precise status improves regulatory compliance. Trucks with an ELD have 53 percent lower HOS violations. Safe drivers need to be alert. 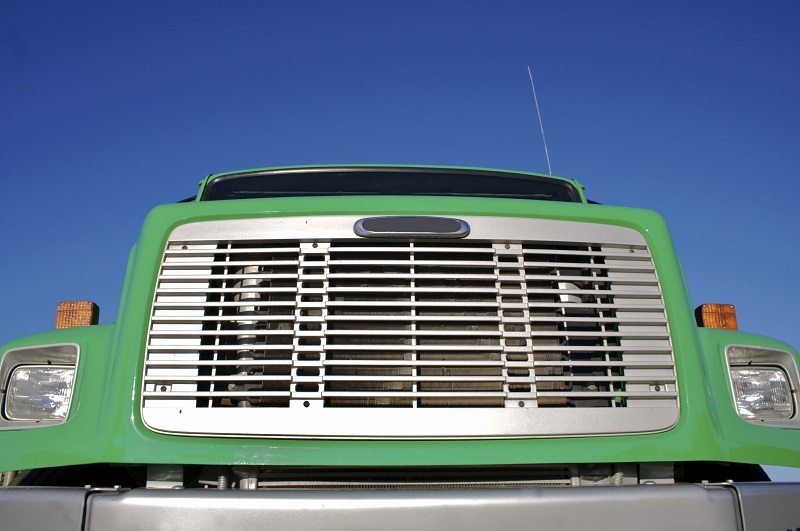 Commercial truckers already have federal regulations dictating when and how long they can drive. Drivers can’t go too far without breaks. They can’t work too many days in a row. And they can’t drive more than 11 hours, in order to avoid fatigue. Two decades of research indicate that a significant number of drivers exceed the HOS limit, admit to feeling fatigue, and have dozed off at the wheel. They say they go longer and farther because of tight schedules, needing the money, traffic jams and inclement weather. A 2007 study of crashes involving large trucks showed that 13 percent of commercial drivers were fatigued at the time of their crash. ELDs help ensure compliance with HOS standards since there’s no disputing the ELD’s precise record of duty (ROD) data, required of commercial drivers. According to the U.S. Department of Transportation, adequate rest and controlled work hours help combat fatigue. ELD-equipped trucks have 11.7 percent fewer total crashes and 5.1 percent fewer preventable crashes. Joe DeLorenzo, director of the FMCSA’s Office of Enforcement and Compliance, said safety is the priority. “There are a lot of benefits for all of us towards our goal of making sure the transportation environment is as safe as possible,” DeLorenzo said. Carriers who have not yet invested in automatic onboard recording devices (AOBRD) want affordable ELD equipment … before the mandate hits. Crestmark provides discounted ELD options through a preferred partner program with Transflo, a respected leader in mobile, telematics, and business process automation. Transflo is offering preferred partner pricing to Crestmark transportation clients on the Transflo ELD T7. This 3-inch device installs in minutes, includes a powerful mobile app for managing logs, and syncs with a phone or tablet. Within about 10 minutes, a driver can be back on the road. In addition to recording drive time, optional services allow carriers to access engine diagnostics, driver behavior, and accident reconstruction information. For more information on the ELD discount pricing available to Crestmark clients through the Transflo partnership, visit our ELD partnership page. Making smart, safe choices is essential when you’re planning a financial strategy to grow your business’s wealth, especially if you’re new to investing or if you’re still feeling cautious after the 2008 recession. Investing in a certificate of deposit (CD) with Crestmark Bank is the perfect way to get started. At Crestmark, we provide a variety of financial solutions for businesses across the nation. And even though that may sound similar to what many banks do, Crestmark actually isn’t a bank in the traditional sense. Our financial organization was founded specifically to serve small-to-medium sized businesses that needed access to funding more traditional banks could not provide. This led our founder, W. David Tull, to start Crestmark, which was approved as an FDIC bank in 1996. He wanted to solve this problem for smaller businesses by creating innovative financial solutions that would give them the funding they needed to be successful. It wasn’t long before Crestmark began receiving inquiries outside Michigan, our home base, and soon we were serving businesses all over the country. Crestmark is built around delivering value and satisfaction to all of our stakeholders, from employees to clients and the community we serve. When you choose to invest in CDs with us, you’re choosing a strong bank built to serve your unique business needs. CDs are relatively simple investments, but that doesn’t mean you should expect less service from your team here at Crestmark Bank. We will be here for you every step of the way. CDs are simple, timed deposits with a fixed interest rate. You pick a term (that’s the amount of time your money will sit in the CD and accrue interest) and when the term ends, you take your money out or you can roll it over into another CD. During a term, the money you invest in a CD is unavailable to you. This means you need to consider how short—or long—you want the term to be. If you need access to your cash soon, a short term is best for you. If you’re in no hurry, a longer term will work. It’s important to mention that you can take your money out of a CD early if you need to, but most banks will charge you a penalty fee which may negate any interest you’ve earned. Longer terms offer better rates, helping you make more out of your money over time. Right now, Crestmark Bank is offering a very competitive rate of 1.70 percent APY for a 12-month term. A 60-month term CD has a 2.15 percent rate. If you need to go with a shorter term, our rates are equally competitive, and it’s an easy way to stretch your dollar. A popular way to increase liquidity with CDs is a method called “laddering.” This is when you divide your investment among several smaller CDs at higher rates that mature at staggered dates. This strategy offers maximum growth and allows your funds to become available faster. For instance, you may open one CD that matures in a year, a second CD that matures in two years, and a third CD that matures in three years. When the first CD matures, you roll that money into a new three-year CD. You do the same thing when the second CD matures. Ultimately, you end up with a three-year CD maturing every year for three years. You can also set up a five-year ladder to maximize earnings. When you invest in CDs, there is no risk. CDs have fixed rates, and they’re insured by the Federal Deposit Insurance Corporation (up to $250,000), giving you even more peace of mind. CDs are not a wild ride on the stock market, which is why they make a smart investment for businesses that want to grow their capital in a simple, risk-free way. Crestmark is built on the foundation of helping small-to-mid-sized businesses succeed, whether that’s through lending or growing capital. When you open a CD with us, you can expect personalized service from beginning to end. Our CD administrator, Beth Inda, can help you determine the kind of CD that’s right for your business needs, the amount you should invest, and the term length. Investments can be as low as $25,000 and as high as $250,000. Once your CD is set up, you can sit back and focus on your business while your money increases over time. When the CD comes to maturation, it automatically renews, but you can take your money out or transfer it to another CD with different terms. It’s up to you. Whatever you decide, investing in CDs is a great way to grow your business’s money—and we look forward to working closely with you. When you create a financial strategy for your business, don’t forget to include certificates of deposit (CDs) in your plan. These straightforward investments are simple to set up, involve little to no risk, and offer a solid return on your money. Most business owners have one thing in common: their calendars are full. Whether they are meeting clients, responding to inquiries, ordering supplies, or taking care of simple daily tasks, they are busy people. When it comes to investing, business owners don’t always have time to learn about complicated investment tools and they’re not interested in taking a lot of risk with their capital. But they do want to make smart financial decisions. CDs are a perfect solution because they are easy to understand, take minutes to set up, and offer a solid return on your money. When you invest in CDs, there is almost no risk and the return is guaranteed. Your money—and your business—won’t be affected by falling interest rates, which means you don’t have to monitor the investment, worry about making changes to it, or losing what you’ve worked for. CDs are also insured by the Federal Deposit Insurance Corporation (FDIC), giving your money even more security, and you more peace of mind. CDs function by “locking in” an investment in return for interest rates that are higher than those offered by average savings accounts. The interest rate you lock in does not change during the course of your term. Because the money is not available while it’s in the CD, it’s important to consider how long your investment will be inaccessible. The investment term for a CD can be as short as 30 days, or up to five years. The longer your money stays in the CD, the greater the returns. It is important to note that you can take your money out of the CD before the term ends, but penalties apply for early withdrawal. CDs are not a wild ride on the stock market, making them a smart investment choice for businesses that want to grow their capital in a simple, risk-free way. With interest rates steadily gaining over the last decade, CDs take advantage of stable growth and predictable returns. A Crestmark Bank CD expert can help you determine the right investment amount and term length to best suit your business needs. Initial investments can range from $25,000 to $250,000. Once your CD is activated, you can sit back and focus on growing your business while your money increases over time. When the CD matures, it automatically renews, unless you choose to withdraw your money or transfer it to another CD with different terms. It’s up to you. Whatever you decide, investing in CDs is a stable way to grow money for your business. Once you’ve decided to invest in a certificate of deposit (CD), it is in your best interest to find the best rates. When you open a CD, you agree to make an initial deposit and the bank guarantees a specified interest rate for the term you choose. The rate of return, which is how much your bank expects to earn from the money deposited into the CD. The Federal Reserve Bank determines interest rates, which impact CD rates. When the economy is thriving, the Fed raises short-term rates to prevent inflation. If the economy grows too fast and drives up prices, inflation makes it harder for people to borrow money and to pay for goods and services. When the economy is not doing well, the Fed lowers rates, encouraging people to continue borrowing and buying goods, in order to prevent a recession, when a majority of people may hold tightly to their money and stop spending. CD rates have been rising since the 2008 recession and the economy continues to improve. That makes now the perfect time to invest your money in a low-risk, solid-return, guaranteed-to-grow CD. The term of a CD refers to the length of time you agree to leave your money in the bank. Terms, like rates, vary among banks. Terms can range from 30 days to 10 years, but most CDs are generally invested for three months to five years. When you invest your money in a CD, you commit to keeping it there for a specified period of time. If you choose to withdraw your money early, you may face penalty fees, which vary according to your bank’s restrictions. It is important to weigh the benefits of early withdrawal against the amount of interest you may lose. The amount you can invest in a CD varies among banks, the same way terms and lengths do. Banks may allow small minimum investments or require much larger amounts. Crestmark Bank allows deposits of $25,000 to $250,000. When determining the best current rates on CDs, be sure to consider the details including minimum and maximum investment requirements, term lengths and penalty rates—and what is right for your business. We invite you to invest with Crestmark Bank. 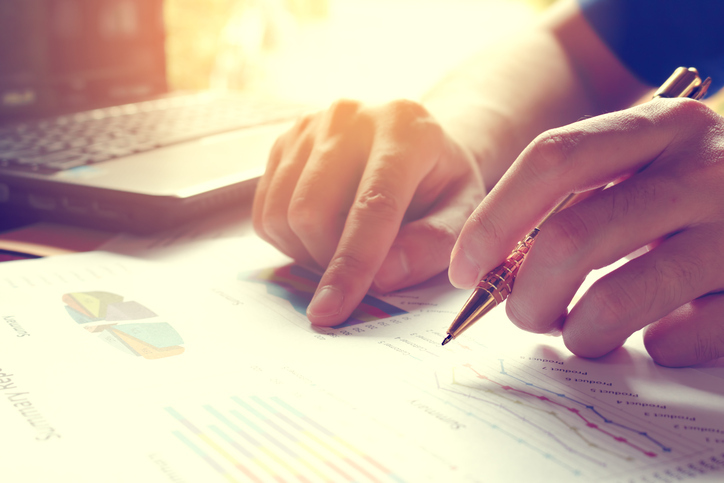 Although reliability and low risk are the major benefits of investing in CDs (certificates of deposit), there are specific ways to optimize your earnings for the greatest return on investment. CDs ask for a mutual commitment from the investor, who agrees not to access their money for a specified period of time, and the bank, who agrees to guarantee a dividend upon maturation. The terms of this commitment can vary by bank and affect the appeal, flexibility and earnings of the CD. Online, cashless banks offer rates that are considerably better than traditional banks. With no brick-and-mortar costs and no need for widespread physical locations, alternative financial institutions can keep their operating costs low and generally offer better rates. As an example, at the time this blog was posted, a one-year CD at Crestmark Bank—an alternative, federally insured financial services provider—would require a minimum $25,000 deposit and would pay 1.7% when the CD matures. The guaranteed return on investment would be $425, which is earned simply by waiting the obligatory year. No further action is required. By comparison, big-name banks frequently offer considerably lower rates and earning potential. At the time this was written, online sources show that a one-year CD would pay .15% at Citibank (equating to $37.50 for a $25,000 deposit), and .05% at Bank of America and Wells Fargo ($12.50 for 25,000). The $425 earning from Crestmark is notable when compared to a return of just $40 or less from the bigger players. Traditional banks may better serve other markets. If you are certain you won’t need access to your money for a while, it is in your best interest to choose the longest-possible term for your CD. If the bank has a longer time period to invest this money, it is more likely to guarantee a larger return. For example, at Crestmark Bank, a $25,000 CD invested today will earn 1.7% after one year; but it would earn 2.15% after five years. Growth increases with the term of investment. Penalties for early withdrawal can be costly, causing you to forfeit interest. Before agreeing to the terms of your CD, consider your short-term goals, cash-flow needs and the immediate demands of your business, economy and industry. CDs are stable investments, but some banks offer flexibility in their products. Indexed CDs depend on market index performance, which opens them to variability and may not guarantee return of principal in the event of early withdrawal. Callable CDs guarantee your initial principal, but the issuing bank reserves the right to end its obligation before the CD fully matures. Bump-up CDs allow you to reconsider the CD terms one time if the APY rate increases significantly. If early withdrawal fees aren’t cost-prohibitive, a bump-up CD might allow you to benefit from a renegotiated CD with an improved rate. These non-traditional options may be explored, but are not offered by all institutions. Although some banks may offer high yields, be sure to check that they are fully insured and protected by the FDIC (Federal Deposit Insurance Corporation). See more here. Consider investing with Crestmark Bank. At Crestmark, we offer CDs at the most competitive rates in the industry, with terms from 30 days to five years, and with initial investment amounts ranging from $25,000 to $250,000. We are FDIC-insured at the maximum levels allowed by law, so you can feel confident your money is always safe and multiplying. We offer a safe, predictable, easy way to grow your money with little effort and no worry. To get started, you can speak directly with our CD Administration team who can be reached at (855) 267-6445 or by email at cd@crestmark.com. Or fill out our online application!